Barril beach (Barrel) is one of the beaches in Tavira Island to the West of Santa Luzia, near the touristic Villas and Guest Houses of Pedras d’El-Rei and within a few kilometres from Tavira. Barril beach is one of the calmest beaches in the Algarve’s South coast, even escaping from the high season floods that unfortunately are common to other beaches of the region. Its waters are calm and warm during Spring and Summer; in the less sunny Winter days, it’s a great place for a beach walk, some jogging or even bird watching. 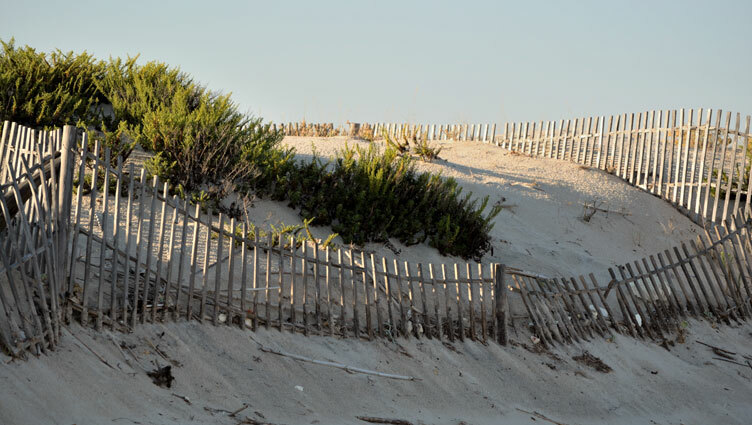 This beach regularly holds the blue flag, proving its superiority and environmental quality. 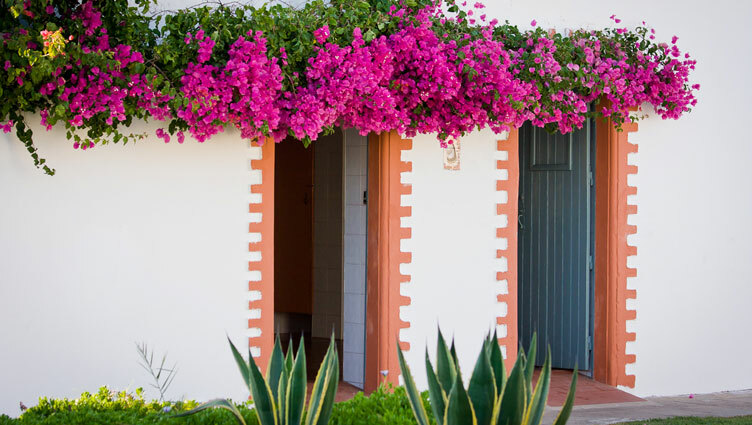 Praia do Barril is situated just a few kilometres from the city of Tavira. To reach this beach you must get to Pedras del Rey, in Santa Luzia. The access to the beach is made through a small floating bridge that crosses Ria Formosa, followed by a footpath that crosses the Island to the seaside. 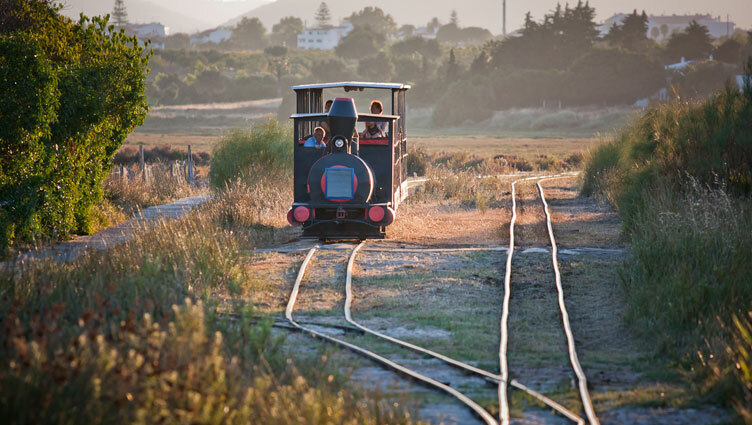 During the high season, the Island crossing is also done by a mini-train that once was used by the fishermen to transport goods between the village and the main road. The journey is just over 1 kilometre, and a return ticket bought directly at “the station”, costs around 2 Euro (free for children under 5). 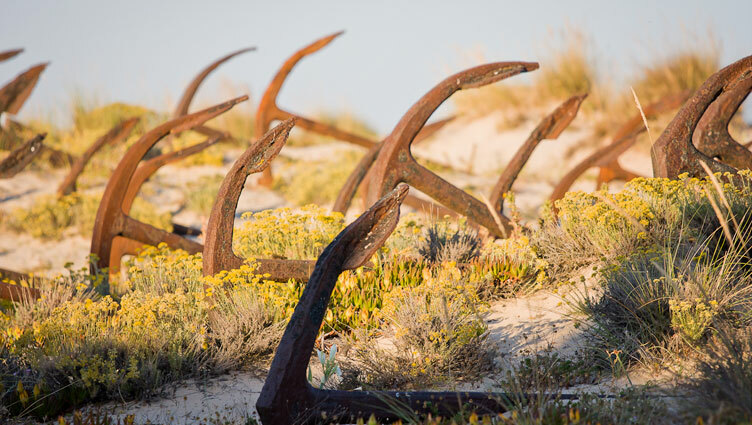 The (Tavira) Anchor Graveyard is a truly unique memorial, and the memory of an era that no longer exists: the Portuguese tuna boats that sailed the oceans for centuries and, due to the lack of resources, have been abandoning this activity. The time when the inhabitants of the island went fishing thousands of kilometres away from their homes has passed. These anchors were used to keep the fishing nets in place and formed giant underwater mazes that funnelled the tuna into the capture nets. The anchors of stranded ships piled up gradually in Barril Beach, at the mercy of the elements and slowly rusting away. When people realised that this particular cemetery slowly became a centre of attention, the inhabitants of Tavira took care to align and keep the place clean and neat in its decline. With no exception to most of Tavira seaside, Barril Beach was traditionally home to a tuna fishing community during the summer. The village was home to approximately 80 families, that lived mostly from tuna fishing during the migratory season to the Mediterranean sea and then back to the Atlantic. This settlement of small whitewashed houses was founded in 1841 and functioned until 1966. The houses have since then been restored and repurposed into beachfront amenities and beach huts.